White is alright, think pink! 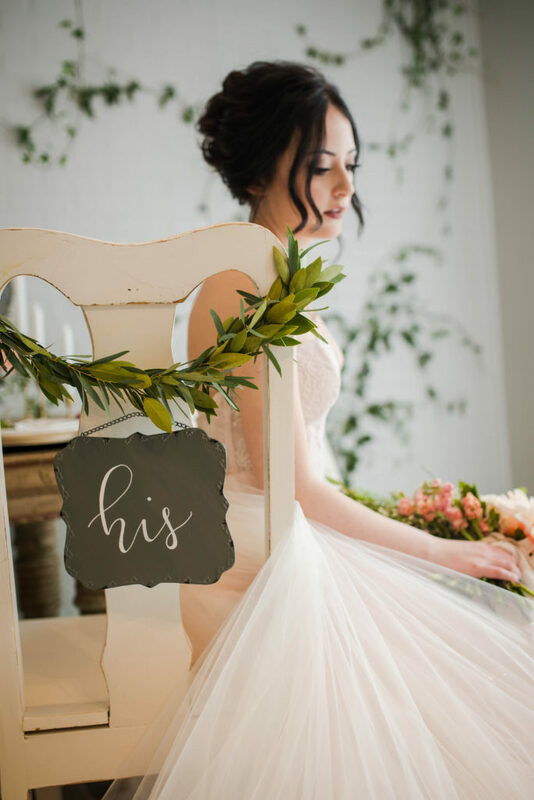 Ivory and white are gorgeous, don’t get me wrong, but lately colored gowns are in! 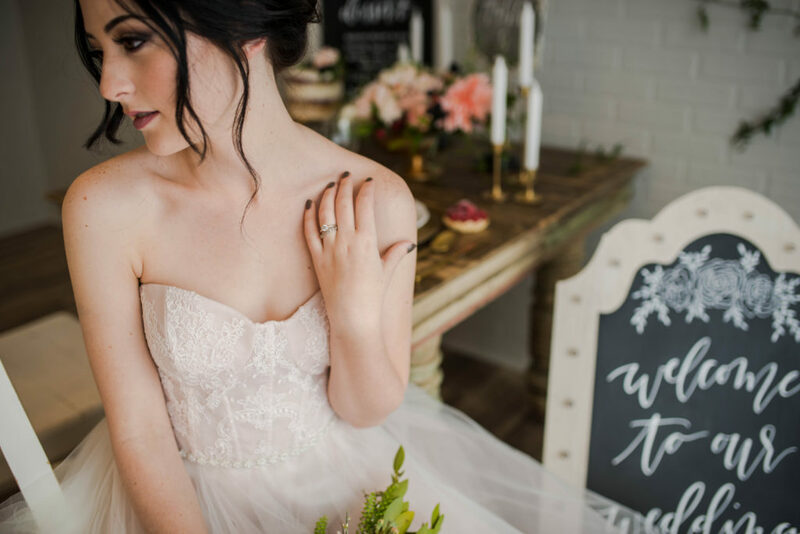 Champagne, mocha, cashmere, blue, black, and blush are dazzling colors that can take the cake! 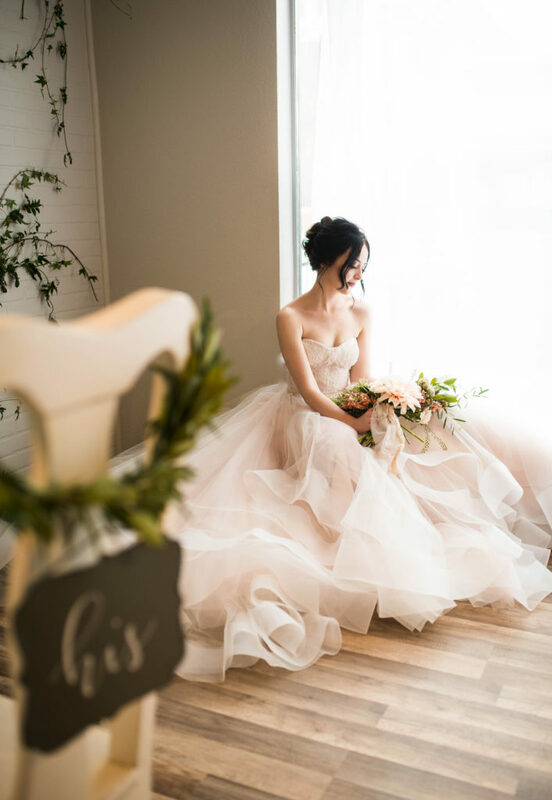 Blush is a trendy and sophisticated statement that can elevate the femininity of a gown and personalize your dress. What’s fantastic about it is that even in the photos the delicate pink undertones don’t flash or scream at the audience. It just whispers “I’m fun, I’m unique”. This is a beautiful Tara Keely design! They have an outstanding and fun dramatic style that definitely stand apart from the crowd. Check out our other fantastic designers here! This bride totally rocked this dazzling color and made it her own! 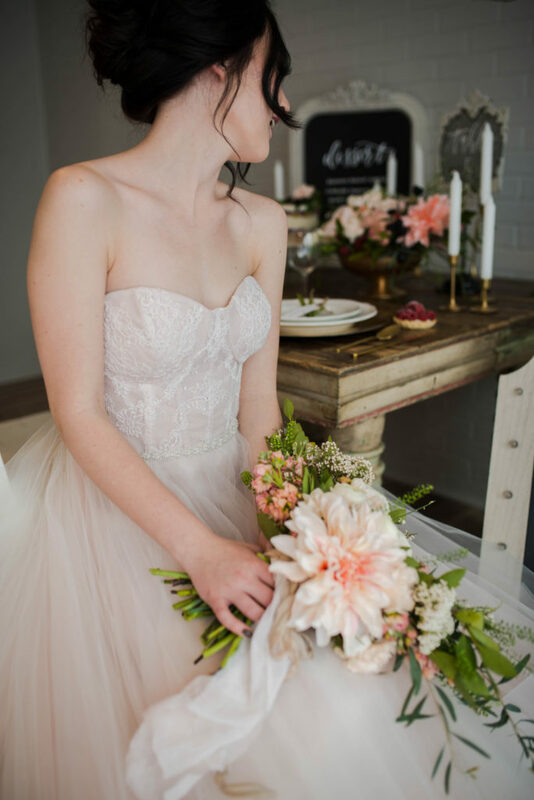 This romantic look is balanced with the delicate and fresh decor. Thanks to Stephanie Lorraine for the amazing photos! 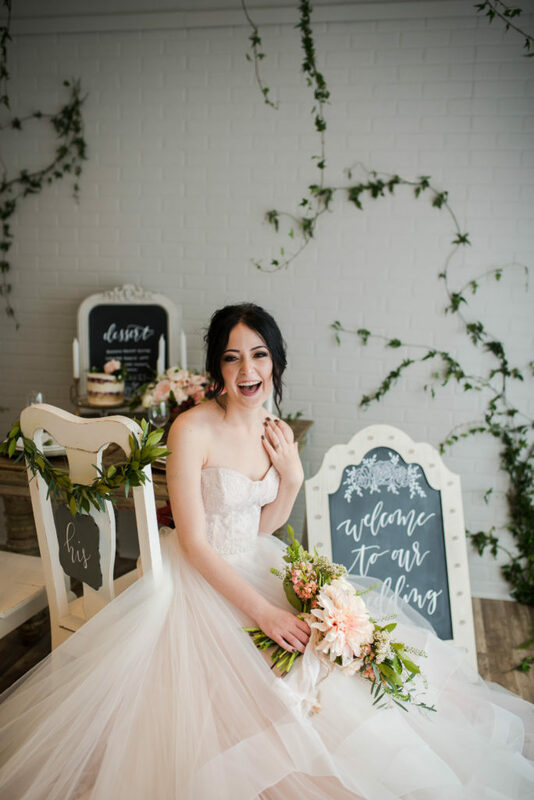 When it comes to a gown, what ultimately matters is that you love it, and a dash of color might bring you head over heels for the gown of your dreams! 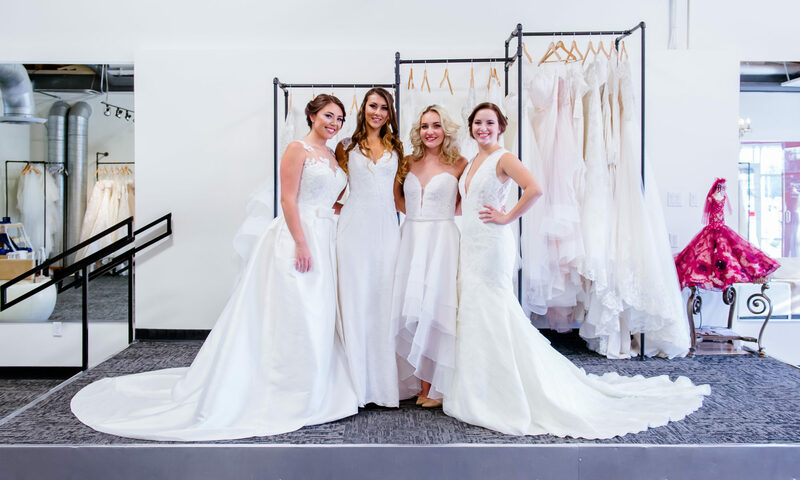 Give us a call or schedule an appointment here and we can help you find the gown you absolutely adore! We can’t wait to play with color with you!